Most software products need an interface. That interface can come in different forms, but usually boils down to either an installed program, or a browser-based web application. For the desktop (mobile is another issue entirely), web apps seemed to have the upper hand, but successful newcomers — like Slack — and old timers — like Skype — indicate that the issue is still unresolved. What’s the right tool for the job? Benedict Evans looks for a way to think about this question for productivity applications beyond feature collections. He argues that the difference between messaging and applications is blurring, and that is because the job we are usually trying to accomplish with software is largely based on a communication need. Certainly true if inclusive of humans and other software but, as he says, the trade offs are difficult. Lotus Notes for example, was both successful and ultimately a failure because of these kinds of choices. Ben Thompson takes off on John Gruber’s complaint about fat slow websites, and basically argues that publishers don’t have a choice and, in effect, neither do advertisers. Ad exchanges and programmatic advertising work well enough (I know, except when they don’t) that advertisers can’t ignore them. … if advertisers are only spending money — and a lot of it — on programmatic advertising, then it follows that the only way for publishers to make money is to use programmatic advertising. Frédéric Filloux measures a few news sites and comes down hard on designers, but I think he means to include other decision makers as well. Can publishers find a sustainable business model this new age of Facebook/Apple/Snapchat/Twitter/Google distributed content? And is local news destined to be left behind? I’m sure there are exceptions, but design has almost always followed function in software development. That was never a great situation, but today’s reality of the constant additions of new form factors forces us to figure out how build function and design in a more parallel and earlier iterative environment. Responsive design is an important approach to dress up the past and get started with workable multichannel publishing, but its scale is limited. Josh Puckett has some great ideas and links to other discussions. Since our tools shape our thinking, it’s critical that we have design tools that allow us to go beyond the static thinking that has encumbered us for so long. While it’s technically possible to design and optimize for various layouts and orientations today, it’s tedious and difficult, which means that we often don’t do it. Steven Levy comments on this year’s I/O event. He does a nice job of explaining deep linking / app indexing, and the much mentioned Google Now on Tap in the context of Google’s mobile and search challenges. Apple is making it much easier to access the web from apps and developers are interested. iOS 9 and Safari View Controller: The Future of Web Views via MacStories.net. In How Google is Taking Search Outside the Box Steven Levy comments on this year’s I/O event. He does a nice job of explaining deep linking / app indexing, and the much mentioned Google Now on Tap in the context of Google’s mobile and search challenges. John Kirk is mostly right, but there is more to say. Though it’s fun to speculate on Apple’s initial intent, it is more useful to consider how the Apple watch actually fits into the the evolution of computing, and what it suggests about what comes next. The effective purpose of the watch is not just to make computing more socially acceptable, or even more convenient, but to do so because computing is becoming part of the fabric of daily modern life and computing devices are inexorably shrinking. This is true across the spectrum from general purpose computers to single-purpose sensors. The most important general purpose computer now is the smartphone. But smartphones got so small they had to get bigger because computing power is well ahead of the sophistication of our technology for communicating with them. The size of smartphones, and watches, limits their range of interactions, but is necessary for their individual utility, a prerequisite for convenience. Convenience is a matter of degree, and no other computing devices had much of it to start and are still largely lacking. But the dramatic ramp-up in reach already happening with smartphones, and coming quickly with more ubiquitous computing clearly demands more convenience be designed in to the entire experience. This is Apple’s wheelhouse. When you squint your eyes and tilt your head, don’t a lot of these products look awfully, well, similar? Don’t they look pretty but, at times, a little dull? Will Deep Links Ever Truly Be Deep? For years, Google’s mission included the preservation of the past… Two months ago, Larry Page said the company’s outgrown its 14-year-old mission statement. Its ambitions have grown, and its priorities have shifted… Google in 2015 is focused on the present and future. Its social and mobile efforts, experiments with robotics and artificial intelligence, self-driving vehicles and fiberoptics. If marketing technologists aren’t scared by scads of software tools, data scientists shouldn’t be either. Here is a knowledgable start at a landscape. The Gilbane Conference on Content, Technology and Customer Experience takes place at the Fairmont Copley Plaza Hotel in Boston, December 1 – 3, 2015. A modern customer experience must be holistic and seamless. Holistic in that customer communications be consistent within the company and across all touch points and channels, and seamless so that transitions between customer interactions are smooth and frictionless. This is a continuous process that requires an unprecedented amount of collaboration and integration between internal and external facing organizations and systems. This year we focus on how to integrate content, data, and software to support a superior multichannel digital customer experience. 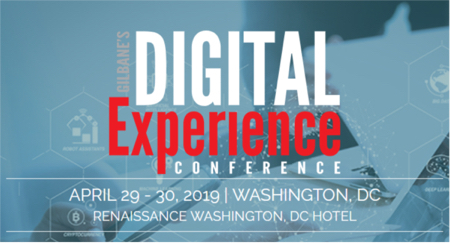 Whether you are just getting started with managing multichannel content, need to improve the consistency of the web and mobile discovery experience, or are ready to integrate with an ecommerce, content marketing, business intelligence or other marketing or data management platform, join us to learn what your peers are doing and what experts are recommending. Gilbane Advisor 3.31.15 – Is a Mobile Deep Linking Standard Necessary? A bit of a contrary view. Long but lots to chew on. And then there’s Ben Thompson’s analysis on why at least some publishers may not have a choice. The problem is that online ads are inherently deflationary: just as content has zero marginal cost, so does ad inventory, which means it’s trivial to make more. A limited amount of total advertising dollars spread over more inventory, though, means any individual ad is worth less and less. This resulted in a bit of a prisoner’s dilemma: the optimal action for any individual publication, particularly in the absence of differentiated ad placements or targeting capability, is to maximize ad placement opportunity (more content) and page views (more eyeballs), even though this action taken collectively only hastens the decline in the value of those ads. Perversely, the resultant cheaper ads only intensify the push to create more content and capture more eyeballs; quality is very quickly a casualty. What a great framework for marketer and data expert collaboration. One of the most shared statistics on mobile use is this one: Applications account for 86% of the time spend by users. This leaves a mere 14% for browser-based activities, i.e. sites designed for mobile, either especially coded for nomad consumption, built using responsive design techniques that adapt look and feel to screen size, or special WebApp designs such as FT.com. Thinking about mobile platforms and demographics? 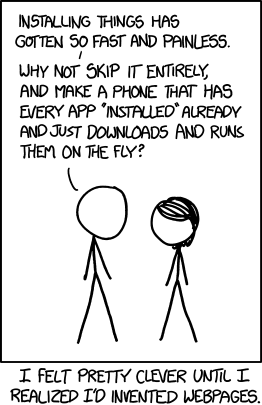 Is a Mobile Deep Linking Standard Necessary? This is not a useful question. It is reasonable to ask whether a successful standard will ever be developed. Standards don’t get created just because they are a good idea, but because they are forced by the market. And that takes time and painful politicking and negotiation between the big players, some influential small players, and more interested parties you would think possible.